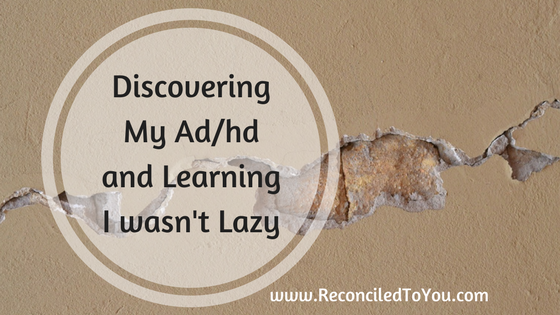 Learning I had Attention Deficit Disorder with Hyperactivity (ADHD) in my thirties was one of the most empowering moments of my life. After years of feeling terrible about myself, especially for many behaviors I always felt were beyond my control, I now had an explanation and began to implement a plan to not only live with ADHD but thrive! Before I share the plan, let me begin with the diagnosis and how ADHD manifested in my every day life. Although aware of how easily I was distracted or how often I had to reign in my excitability, it never crossed my mind that I may have Attention Deficit Disorder with Hyperactivity. The discovery came while in my car listening to Dr. Ed Hallowell’s book on ADHD, Driven to Distraction. The irony of his title and where I was listening to it has never been lost on me. That day I was hoping to find some strategies to help my eldest son’s behavior. As Dr. Hallowell enumerated the symptoms, I found myself adding them up on my fingers, not for my son but for ME! I pulled over, rewound the cassette (yes cassette, this was 1997), and made a list of all the ADHD behaviors I recognized in myself! Then I wept. The many situations that matched the symptoms traced well into my childhood. Why hadn’t a single teacher, doctor or even my parents recognized this in me? The most likely answer was simple. It was the 1970s and early 1980s, ADHD, when considered at all, was thought a “boy” issue. I was labeled flighty, lazy and even annoying. 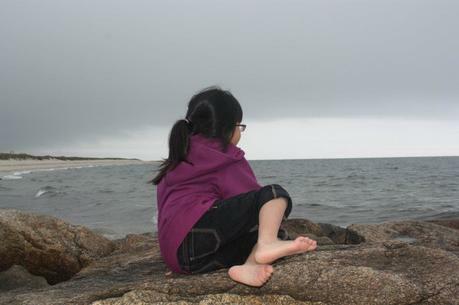 I struggled to maintain friendships, my grades in school were marginal, and my self-esteem often extremely low. First identifying me as inattentive is a misnomer. I have lots of attention to give unfortunately I usually give it to the wrong things. To some my behavior looks like procrastination, however, I am actually quite busy. I struggle with prioritizing. ADHD effects a person’s executive function (more on that later) and this is what often leads to the lazy label. Since I have not completed the task given to me, it appears I have been doing nothing or “goofing around” all day. When I was a new mother, I remember my husband coming home from work, looking around the messy house and lack of prepared dinner, and asking what did I do all day? While he recognized childcare activities constituted most of my day, there were still many unaccounted for hours. I knew I had been busy, but even I could not adequately answer his question. In actuality I was probably very productive or engaged just not with what most needed to be; unless it is something that required sustained mental effort on a disliked task (such as taxes) then perhaps I could be find guilty of some prime procrastination maneuvers. ADHD and sustained mental effort in uninteresting or even difficult tasks are not compatible – we’ll get to more on that during this blog series as well. Fails to give close attention to details or makes careless mistakes in schoolwork, work, or other activities. Prime example of this came during my short stint as an Administrative Assistant at a local bank. My task was simple, take these 2 complaint letters, address envelopes and mail them off. I confused the letters creating even angrier customers and solidifying my suspicion I was not cut out to be in charge of organizing other people’s work days! Does not seem to listen when spoken to directly. Giving my undivided attention, especially in crowded environments is brutal. When I first started to work on this skill, I would put up my hand, like a blinder on a horse, to block out the exterior distractions. Avoids, dislikes, or is reluctant to engage in tasks that require sustained mental effort (such as schoolwork or homework). So, for the second year in a row, I had to file a tax extension. Bookkeeping, spreadsheets, numbers are NOT my friends! Easily distracted by extraneous stimuli. The older I get the less hyper I am, however, I do still have my Squirrel Girl moments. Here are a few examples of how hyperactivity has been a blessing in my life. Leaves seat in classroom or in other situations in which remaining seated is expected. While I am able to control my seat exiting these days, staying put for extended times can still be difficult. Before we adopted Faithy, and I was interpreting each Mass for her, I had joined the choir to give me a participatory activity to add with focus and hyperactivity. My softball coach was the first to realize that if you give me something to do throughout the entire game you had my full attention so he made me the catcher! Appears “on the go” or acts as if “driven by a motor.” Hence the squirrel connection, yet there is a great blessing in being able to multitask, require very little sleep and exude lots of energy during my presentations and retreats. Talks excessively. Three Words: A Seeking Heart. Interrupts or intrudes on others (e.g., butts into conversations or games). Here the key reason I blurt things out – I AM petrified I’ll forget it before my turn. My strategy here has been two-fold. When possible, I just jot what I want to say down and then wait for my turn (this always makes me a better listener). The second strategy is to ask my Guardian Angel to hold onto the thought, and if it is meant to be shared to remind me of it when it is my turn in the conversation. The symptoms do not occur exclusively during the course of a pervasive developmental disorder or other psychotic disorder, and are not better accounted for by another mental disorder (e.g., mood disorder, anxiety disorder, dissociative disorder, or a personality disorder). **Much more on the co-existing (or co-morbid) conditions of anxiety and depression to come – for now check out the podcast below on anxiety!